Have you suffered losses investing in Worthington Energy (formerly known as Paxton Energy)? If so, the securities attorneys at The White Law Group may be able to help you recover your losses by filing a FINRA Arbitration Claim against the brokerage firm that sold you the investment. Worthington Energy, Inc., an exploration stage company, acquires, explores, and develops oil and gas-related properties in the United States, according to Bloomberg. It primarily holds interests in the oil and gas leases located in Montgomery, Labette, and Wilson counties, Kansas. The company was formerly known as Paxton Energy, Inc. and changed its name to Worthington Energy, Inc. in January 2012. Worthington Energy, Inc. was founded in 2004 and is based in Corte Madera, California. 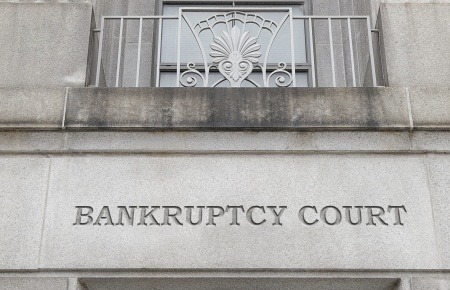 According to SEC filings, on March 16, the company’s board of directors decided to go forward with voluntary filing for bankruptcy under chapter 11 bankruptcy of the U.S. code, with total indebtedness of approximately $2.8 million. According to SEC filings, in 2011 Worthington raised money from investors through a Regulation D private placement offering. Reg D private placements are typically sold by brokerage firms in exchange for a large up front commission. Is a Reg D Private Placement Investment Suitable for you? The White Law Group is investigating the liability that broker dealers may have for improperly recommending Worthington Energy (Paxton Energy) to investors. The trouble with alternative investment products, like Worthington Energy, is that they involve a much greater degree of risk compared to traditional investments, such as stocks, bonds or mutual funds. Alternative investments are typically sold as unregistered securities and lack the same regulatory oversight as more traditional investment products. An additional risk inherent to Worthington offerings is also the general risk that comes with the energy market – a market that has seen enormous losses over the last few years. To determine whether you may be able to recover investment losses incurred as a result of your purchase of Breitling Oil & Gas, please contact The White Law Group at 1-888-637-5510 for a free consultation.